…for Brits of a certain age… how many of these do yeez remember? Our first telly, a dark brown bakelite box housing an almost round screen (I think it was one of Logie Baird’s prototypes) revolutionised the house – at six years old I was allowed to watch… a bluudy boxing match (it was all that was on). Then came Redifusion! and finally four channels! Then work took me abroad (not at six years old – I was a wee bit older by then). Spain 1982 – 2 channels on TV, both State-owned! As I said, Time Travel! Was he from the Govan too? What’s that song from The BOSS? Kirk: Two to beam up Scotty! Spock: Logically, this appears to be a Govan Shipyard in the mid- 1970s. I think we have experience interference from a black hole, Captain. Scotty: Aye, it’s nay interference, yer pointy-eared bugger. I’m repopulatin’ me hometown! Kirk: I demand you fix this now, Scotty! Scotty: There’s a Glasgow Kiss for yer trouble, laddy! Wonder why it was never included in the series. Nope, can’t say I remember a single on of these, I’m obviously not a Brit of a certain age.Far too young. 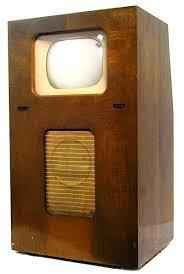 We had a round screen telly that you kept going by feeding pennies into the box on the side. Loved it. The old man worked for Redifusion at the time so he must have cut a deal. He wouldn’t pay for a TV licence so every time it was turned on he’d keep nipping outside to check if the licence van was prowling the street. Aaaah I just squeaked in at the end there with Murry Mints and McEwan’s. 😉 I guess that makes me old but not that old.